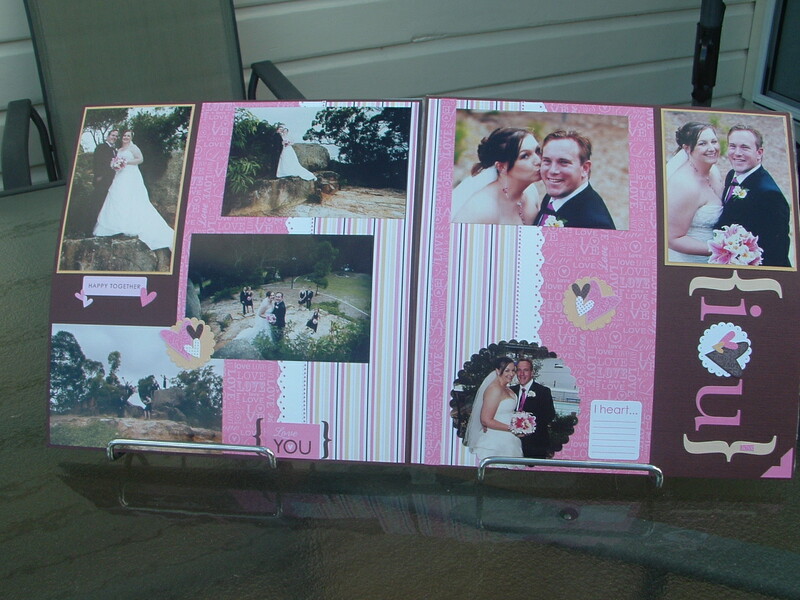 I think I’m becoming addicted to scrapbooking. Who’d have thought that????? 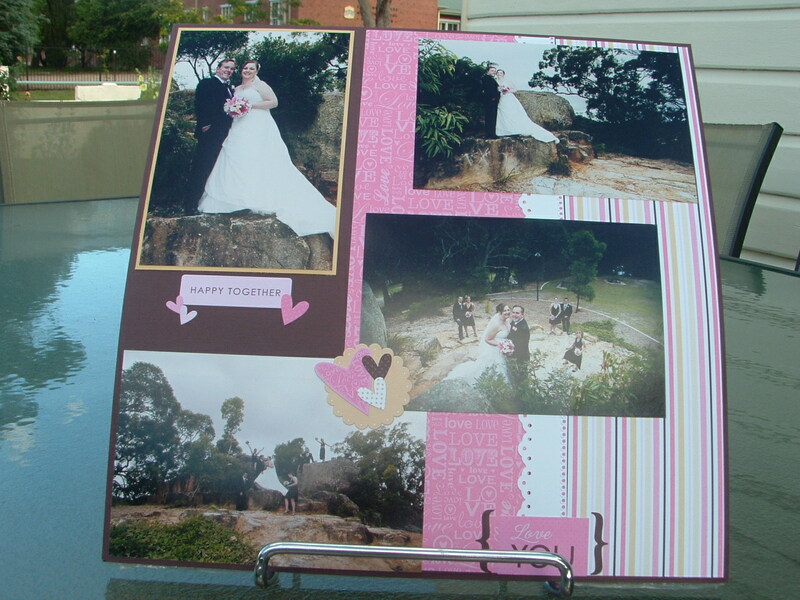 This double layout is one from Tony and Amber’s wedding album. 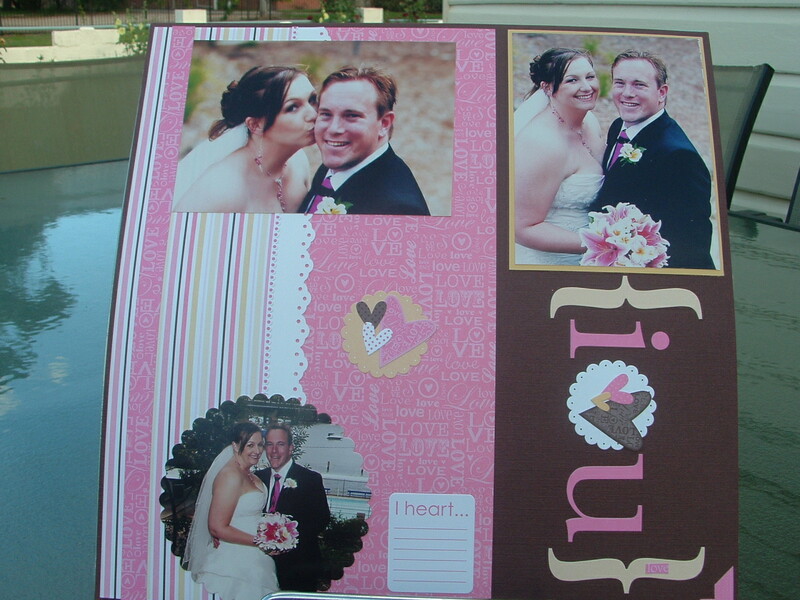 Scrapbooking is soooooo very easy with Stampin’Up’s! Simply Scrappin Kits. This kit is called “Love Sparkles”. There’s enough in this kit for four double layouts and bits left over for quite a few cards and all for the amazing price of $36.95. This includes the 12 x 12 cardstock, designer papers and embellishments. What a bargain! It just makes the pleasant task of scrapping even more pleasant. This is the first page of the DLO. On the walk from the wedding vows to the reception, the wedding party found this rock shelf and couldn’t resist ‘climbing’ in their finery. Kids! who’d have ’em. Here we have the two pages together. I’m soooo pleased with how they turned out. Hmmm! I’l lovin’ this one! Can I start saying I told you so now pleeeaaaassssseeee? You are good at this! Keep up the great work, it’ so enjoyable isn’t it!